Multiple scenes of Sherman County, Kansas. In the photograph of the Germann store, pictured left to right are: James Walter Germann, Ed Middleton, Lula Germann, unknown, unknown, and Grandpa Motsinger. 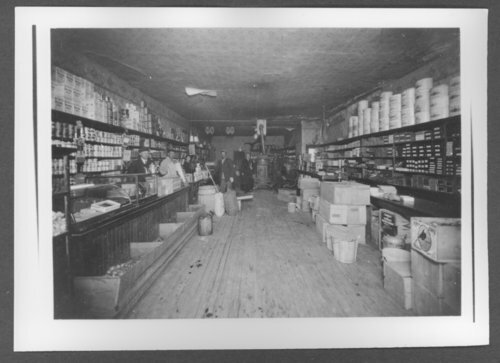 Scenes of Sherman County, Kansas - Inside of Germann's store, prior to 1926.